Aussies love a great cookout on the grill. If cooking your steak on a grill is not possible, don’t stress; cooking a great steak is possible over the stove top too. 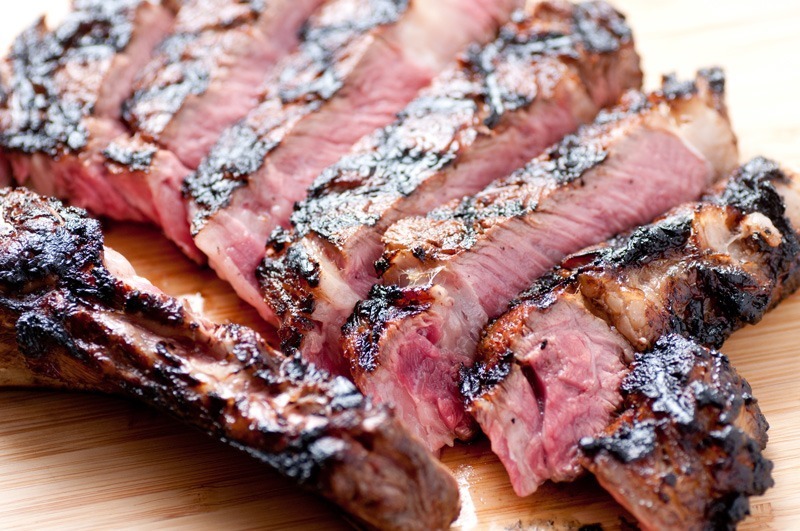 Preparing a tender, juicy steak doesn’t need to be extremely hard or complicated. Knowing a few key tips and tricks from the Hog’s Grill Masters will have you making delectably tender and delicious steak from home! The first step for a great steak is selecting a great cut of premium quality. Not all steaks are equal- some cuts have better flavour, while others are more tender or juicy. There is no getting around it- a cheap cut will never result in a fabulous steak. Steaks destined for the skillet should be excellent cuts, such as rib eye or a sirloin. Some chiefs will argue that rib eye is the best for its fat and flavour; others prefer a fillet or a New York Steak for their tenderness. Marinating the steak overnight and cooking only to medium-rare are two ways to make the most out of a cheaper cut of steak. The bottom line, though, is a fabulously tender and juicy steak can only be achieved from premium cuts- you can’t fake it. Also keep in mind that buying from a butcher will nearly always get you a better steak. For the chief steak newbies, go for boneless cuts that are fattier and one-inch thick; they are the easiest to master and produce the best results. We suggest pulling the steak from the fridge 45 minutes before you intend to cook it. A steak cooked at room temperature decreases cooking time and ensures a good even searing. It will prevent the centre from being cool when serving medium rare. Finally, cooking a room temperature steak will prevent the interior from turning grey, which can happen when searing a steak that is still cold. Salt both side with a large grain salt, such as sea salt or coarse kosher salt. A coarse salt pulls the moisture out, leaving a mild salty taste. If you salt it in advance; the meat has time to reabsorb some of the juices to make it more tender and juicy. For a deeper seasoning and better browning, try salting your steak the night before. There are a number of ways to season a steak, but a classic seasoning is nothing more than salt and pepper. Some enjoy steak seasoning, cumin, cayenne, thyme, rosemary, chipotle and chilli powder for a greater complexity of flavours. Sprinkle the seasoning of your choice and press on both sides of the steak. The amount of seasoning used depends on individual preferences, but keep in mind that a thicker steak needs more seasoning and that some seasoning will be lost in the cooking process. The trick to searing a steak properly is to make the pan as hot as possible. Why cook a steak at incredibly hot temperatures if the aim is to serve it medium-rare? High temperatures burn off the surface moisture, making the steaks edges charred brown and deliciously crusty with a centre that is still tender and juicy. To start cooking, heat up your pan for a few minutes. Check if it’s hot enough by flicking water on the pan- the water should immediately sizzle and evaporate. When the skillet is nice and hot, pour 2 tablespoons of olive oil and 1 tablespoon of spoon of butter into the pan. The oil should be smoking when you place the steak in the centre of the skillet. Sear well for 1-2 minute before flipping over. The steak will cook in the oil, butter and juices; preventing it from sticking to the pan. Flip every minute after the first 1 to 2 minutes of searing, for a great crust and a pink, juicy and soft interior. Flipping encourages the juices to move around the steak, making for a more even and faster cooking process. Feel free to add a dollop of butter or to spoon oil from the bottom of the pan to the top of the steak to baste it. Basting will brown the steak nicely, reducing the cooking time for a more tenderised steak. Keep in mind that cooking at high heat requires a high-quality caste iron pan. The pan must be thick enough to become hot evenly throughout the pan. A heavy and large cast iron pan recommended for its high heat tolerance. Knowing when a steak is done is tricky and takes experience, as the size and cut of the steak will determine how long it should cook for. A good rule of thumb is to cook it for no more than 5 minutes per inch on a red hot skillet. The more tender the steak, the rarer it is. An imperfect guide is to place your pointer finger and your thumb together and feel the firmness of the muscles that will ball up below your lower thumb knuckle. The firmness you feel there when poking your hand here is a similar firmness to a steak cooked rare. Your middle finger and thumb together is the firmness of a medium steak, and the firmness you can feel when your pinkie finger and your thumb are together is well-done. Achieving the perfect medium rare steak requires a bit of science, not guessing games. It’s well worth investing in an instant-read meat thermometer. When testing doneness, insert the thermometer on the side, not the top. A steak is cooked to medium rare when the internal temperature is 55-60 degrees Celsius. It will be warm through the middle with a hint of red, and the majority of the centre pink. The sides should be well browned, with the top and bottom dark brown and charred. The outside of a medium rare steak is firm on the exterior but still soft in the middle. Usually, if the grill is as hot as it can be, this will take 2-3 minutes per side for a 1 inch, boneless steak. Ask a steak chef or a steak connoisseur how they like their steak, and it’s a safe bet they’ll all emphatically say, “medium rare!” The best flavour, the most juice, an excellent crusty char and unbeatable tenderness is only really achievable when a steak is cooked medium rare. The juices are flowing, the fat is sizzling and the aroma is irresistible. But don’t think about cutting it open just yet. When the steak is done perfectly to your liking, remove from the heat immediately. The longer it is cooked, the less juicy and tender it will be. Place on a plate and cover with aluminium. Let the steak rest like this for 5 minutes to allow the steak to reabsorb its juices. This will prevent the steak from draining out its juices when cut open. If you have followed Hog’s 6 steps to stellar steaks on a stovetop, you will have made one heck of a terrific steak. Dig in and enjoy! Do not leave beef out at room temperature for more than two hours or out at temperatures above 32 C for more than an hour. 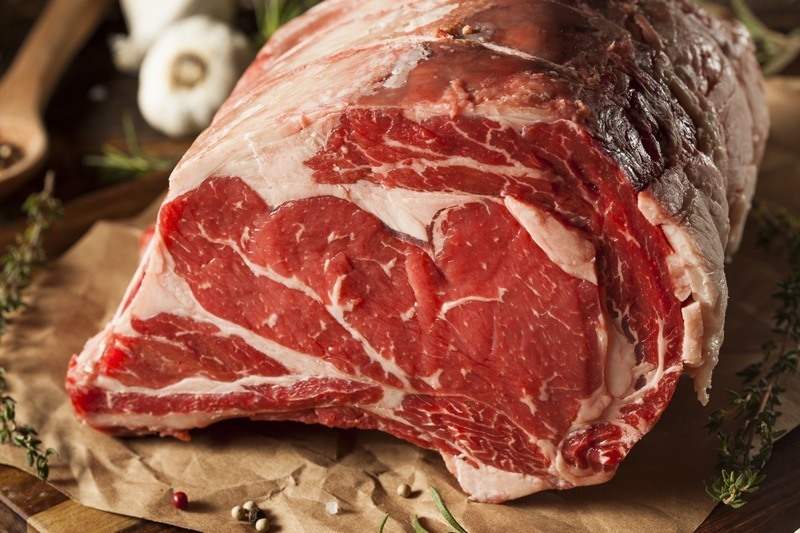 Consuming raw or undercooked meats may increase the risk of foodborne illness.